At Widener Law Commonwealth, your experience in the classroom is just one dimension of a rich and well-rounded education. A variety of co-curricular opportunities give you the chance to extend your learning beyond the classroom, add achievements to your resume, and forge connections with fellow students and faculty advisors. In addition to the in-depth legal training you’ll receive in the classroom, you will be surrounded by opportunities for professional development and network-building. You will have many ways to get involved, stay informed, and keep in touch with your classmates, professors, and the thriving Harrisburg-area legal communities—all while honing your legal skills. Legal research and writing are important parts of any successful legal career. You can strengthen those skills by working on the Widener Commonwealth Law Review or the Widener Journal of Law, Economics, and Race. Published since 1992, the Widener Commonwealth Law Review focuses on a wide range of topics including constitutional law, civil and criminal law, professional ethics, administrative law, commercial law, and other emerging developments in the law. As its name suggests, the Widener Journal of Law, Economics, and Race, which is published online, is a forum for analysis of the many important ways the forces of law, economics, and race intersect in American society. The Trial Advocacy Honor Society offers professional training for students who demonstrate the desire and academic prowess to become trial attorneys. 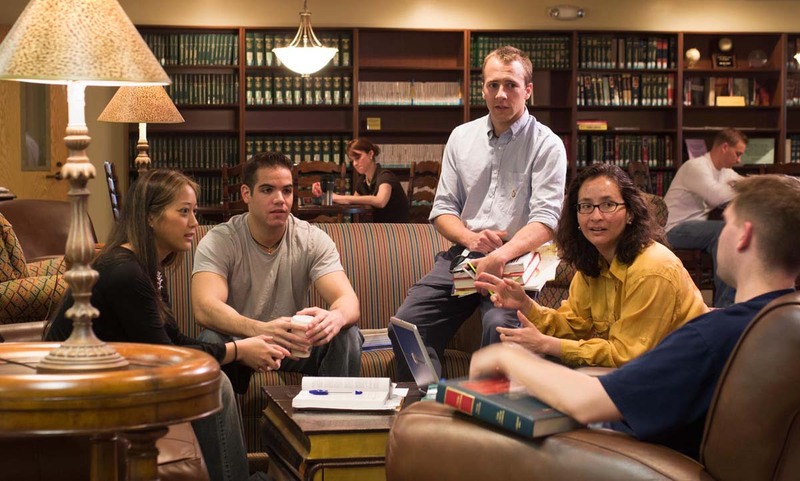 Members can participate in training sessions and workshops as well as compete against fellow Widener Law Commonwealth students and represent the school through interscholastic trial competitions. The SBA sponsors many campus activities, academic associations, community projects, and social events. The organization has twice garnered "Outstanding School of the Year" awards from the ABA's Law Student Division. A range of other organizations provide the chance to connect with fellow students who share your interests.